As a leadership development consultant, I’ve often been asked to share my expertise on the design and integration of succession planning programs that encompasses the needs of the organization while inspiring, developing and rewarding the incumbent and incoming high potential performers. Similarly, in coaching entrepreneurs and executive consultants on strategies for business brand positioning and marketing effectiveness, the answer to their questions is the same. In theory, it’s sounds primary school simple. In practice, it is a skill if not leveraged and strengthened may become dormant within the cultures and parameters of the routine and normal practices of bureaucracy. How then do we bring creativity back to our daily lives and business practices? Great creativity inspires, ignites and evokes emotion. It also increases brand presence, employee engagement and meaningful customer experiences. To this end, this helps to grow business and raises market competitiveness in the offering of a solution or service that is original, unique and relevant. Adopting a design thinking approach to leadership and business management fuels creative initiatives by offering and maximizing opportunities for problem-solving and idea generation collaboration; it also facilitates the integration of various creative thinking styles and personalities. Successful Design Centric leadership is rooted in the understanding of emotional intelligence, change and risk management, neuroscience and transformational leadership styles. With a focus on empathy, optimism, collaboration and experimentalism; this approach to leading creativity and innovative initiatives encourages employees 360 engagement within an organization. By creating an environment where risk-taking and safe to fail opportunities are encouraged, employees are motivated to participate as they feel psychologically safe to do so. Whether it is an incremental or breakthrough solution that you are looking for, design thinking is the best way to foster creative and innovation success within your brands and leadership strategies. As technology continuously evolves, the delivery of the experience to internal and external clients will need to adapt as well. Responding to the needs and expectations of a changing workforce and customers is vital to a brand’s and leader’s success. 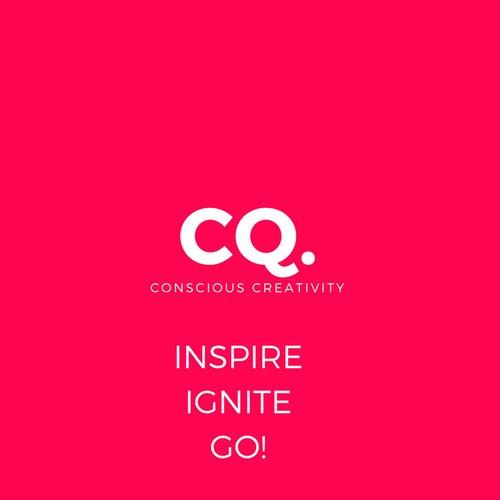 Conscious creativity connects purpose, values, culture and the principles of design management to lead and execute a problem-solving process and strategies for successful innovative initiatives. By leading with the first principle of design management; empathy, you will be able foster target audience engagement and evoke authentic interactions. A common practice to first integrate design management is to begin with a user empathy map. By identifying how your target audience may think, feel or act in relation to the identified problem highlights an awareness of how to best affect and manage change. The first part of creating an user empathy map is to clearly define and describe the specifics of the target audience, then to identify the desired action that you would have them to do as a result of the solution that you had in mind. You would then consider what your target audience may be thinking concerning the problem identified with respect to their beliefs. Subsequently you would then be able to determine their emotions and how they feel in relation to the problem. Consider here then, how you may want your target audience to feel. The second part to this practice is to identify the challenges and painpoints for this target audience, What frustrates them as a result of this problem? How then would your product or service benefit? Empathy then grows by deepening the understanding of the needs of your target, you are then able to provide a product or service that addresses the concerns of your clientele, while delivering a meaningful and memorable experience that fosters trust, loyalty and authentic responsive engagement. Design thinking and management approaches are not exclusive to one industry, but is applicable to all. Design Centred leadership focuses on building a culture and strengthening core competencies that facilitates engagement that is both cross generational and departmental. In 2018, examine the approaches of your brand and leadership strategies and determine if it facilitates for maximum engagement from your clients and employees. Evaluate if your brand is struggling with initiatives that create opportunities for idea generation and problem-solving that are specific, relevant and experiential. Aim to become consciously creative in your integration of leadership and business goals, your innovative solutions will not only be intelligent, but intentional, actionable and measurable. Leadership consultant and facilitator, integrator of adult learning methodologies for coaching and development in the areas of emotional intelligence, risk and change management, creative problem solving processes and design management thinking.